Eleri Eames thinks her life is getting back on track. She didn't think she'd ever be allowed to work for the FBI again, so the special FBI division of NightShade seems like an amazing opportunity. But Eleri is concerned to learn that she tested into the unit when she didn't even know she was being tested. All too soon, her chance to start over starts to disturb her. When the FBI offers Donovan a chance to leave his job as a medical examiner and try his hand at something new, he takes a chance on the NightShade division. Having spent his life in the shadows, he's not sure he can successfully work in a team. Somehow, he has to try, but can he trust Eleri with the truth? Thrown together to solve their first case, Eleri and Donovan must deal with a charismatic cult leader and true-believers, all hidden in the wilds of Texas. The cult is mixed up with several decade-old kidnapping cases and Eleri and Donovan don't have high hopes for finding the missing daughter of a prominent FBI Agent. 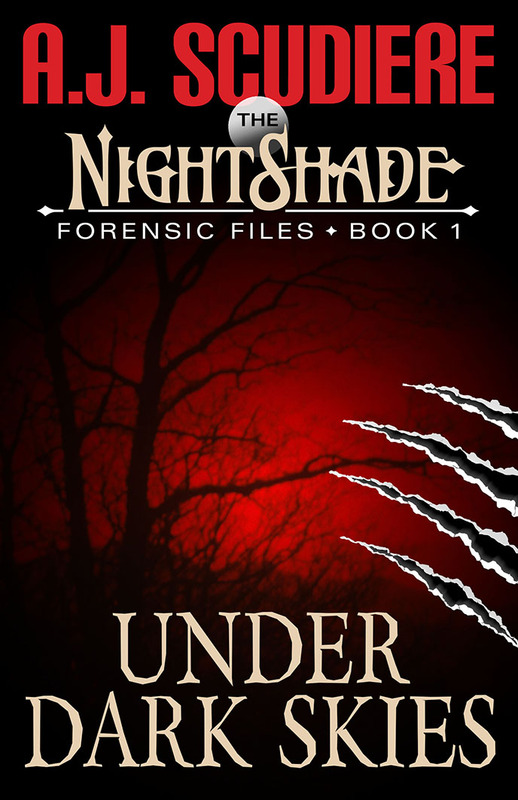 When their orders get more specific, neither is sure they can do what's been asked, especially when they discover that NightShade's mysteries aren't coincidence. Vampires, zombies, werewolves, and more! Okay so it's a new look at the paranormal, but it is gonna blow your mind how genius the characters in this book are written! The story is entirely original, Bones meets Being Human! A new scientific take on the paranormal that will replace your nightmares with night terrors! Sometimes what you CAN understand is scarier then what you can't! This is a great book for people who enjoy mysteries, crime novels, paranormal thrillers, or even just original storylines. Great read! Worth the time to check this thrill ride out!